Do you want to float in the sky gazing the Savannah plains or want to spend some romantic time with your partner while seeing the sun rising above the landscapes of Serengeti? 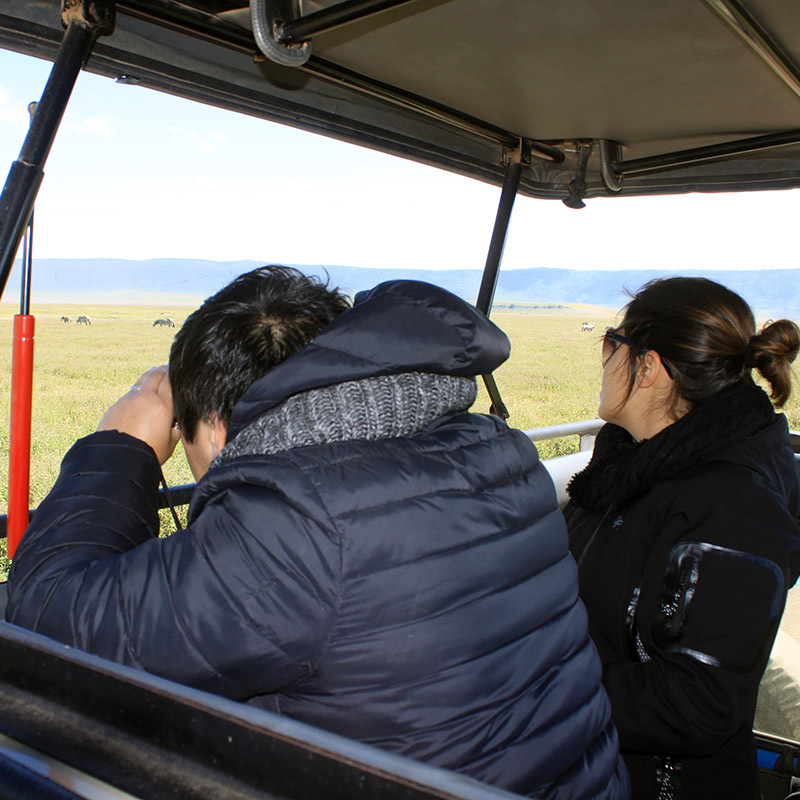 Are you wanting to experience the magnificence of Serengeti with a bird’s eye view? 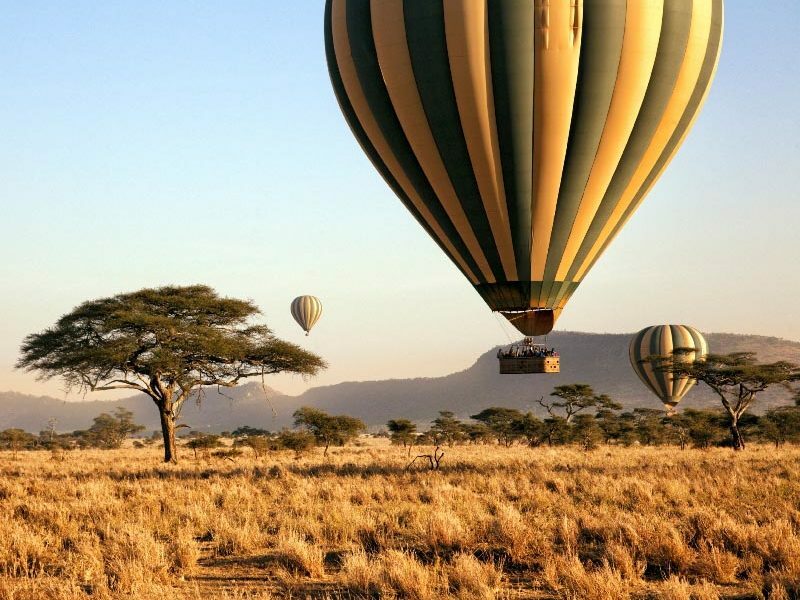 Then Serengeti Balloon Safari is the answer to all your questions. 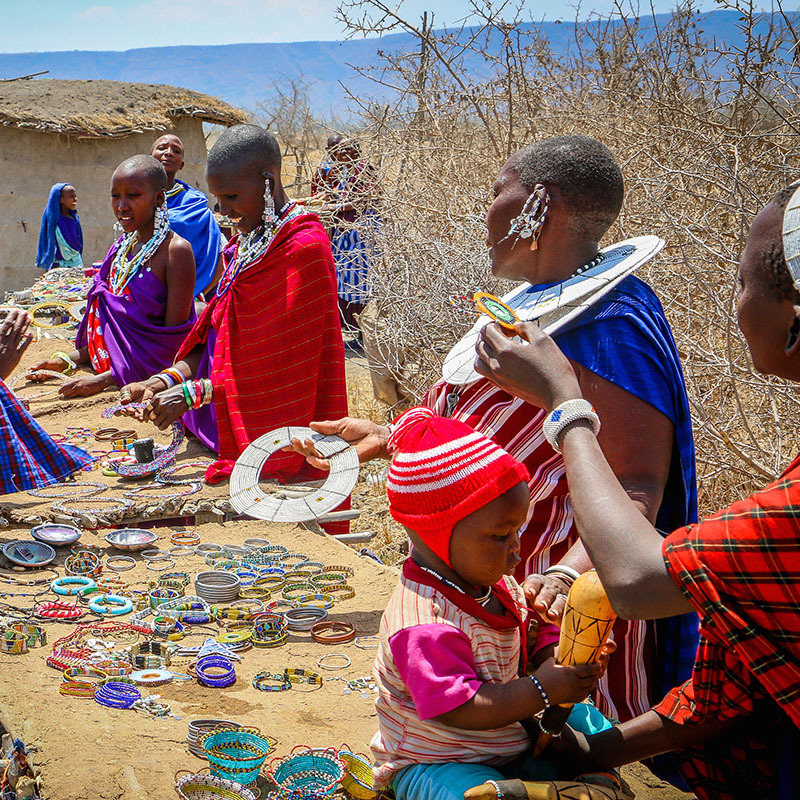 It offers you a lifetime experience on your Safari Adventure. The balloon safari offers a bird’s eye-view game viewing which is unmatched to other game viewing experience on your African Safari Tours. A hot-air balloon flight at sunrise over the Serengeti is sure to be one of the highlights of your safari. Flying at treetop height, balloon safari provides a unique perspective and great photographic opportunity of the wildlife below. 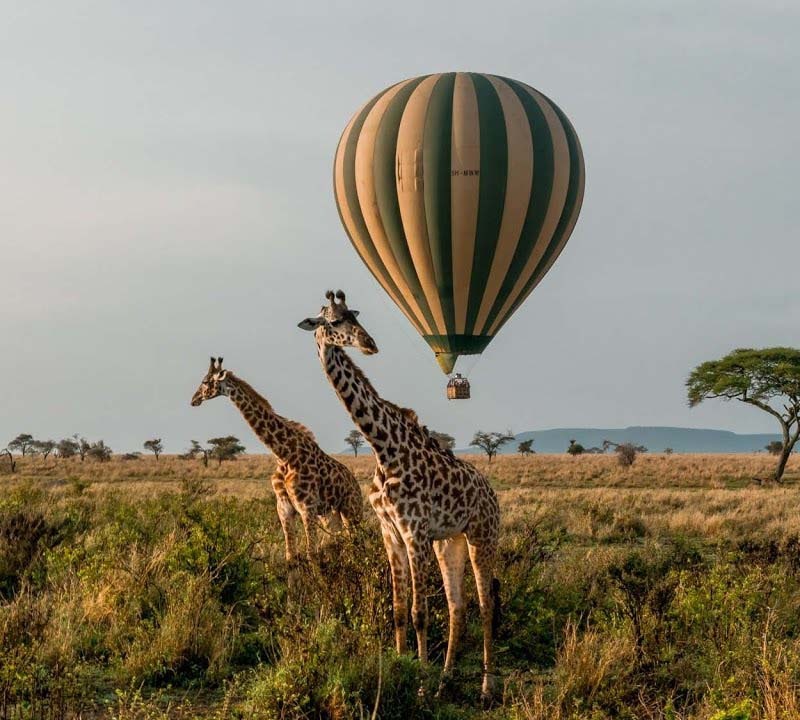 Serengeti Balloon Safaris takes the tourists on an unforgettable hot air balloon flight and is one of the best ways to view the African wilderness unobtrusively. Serengeti Balloon Safari Excursion offers you a staggering view of the endless plain of Serengeti at the dawn with the bright reddish sun rising above the majestic savannah. 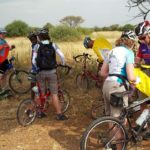 You can also spot tiny little dots wandering across the varied landscape and as you get closer you can witness the most magnificent view of spectacularly striped black and white zebra, sashaying giant grey elephants wandering to a waterhole and subtle swish of puffed golden tails expose lions lying under shady trees. The epic natural phenomenon “Great Migration” is a sight to behold. However, you cannot have the whole picture of this epic event from the ground. As you would be lost in the sea of wildebeest and zebras, but with a bird’s eye view from the sky, you won’t have the problem of lost between the herds. You can have a complete view of this natural wonder from your balloon flight. Serengeti host huge concentrations of wildlife including the Big Five. On a game drive in Serengeti, you can easily spot them roaming in the plains of Serengeti. However, Ballooning In Serengeti Park In Tanzania offers you an unrivaled view of the wildlife. You also spot a pride of lions roaming, relaxing and playing with each other on the plains. And if luck favours you also witness lioness hunting its prey. 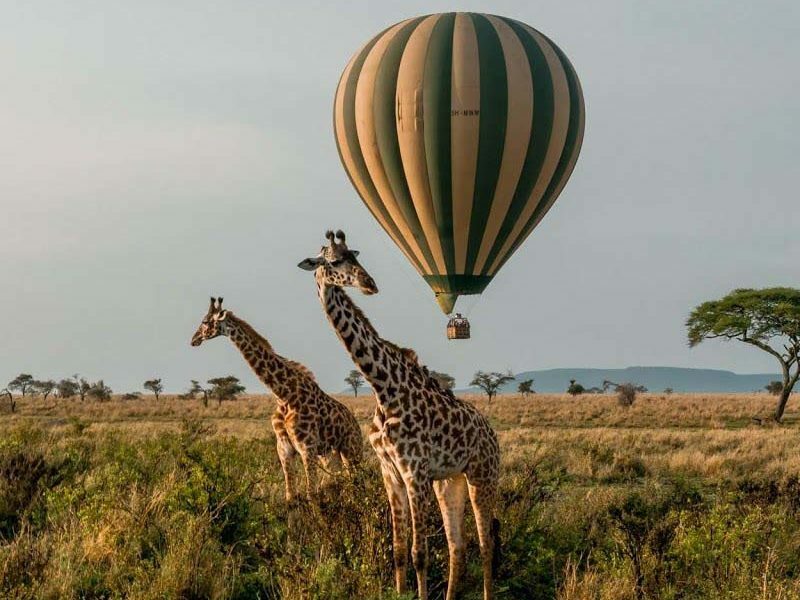 Serengeti Hot Air Balloon Safaris not only takes you above the vast savannas of the Serengeti plains with herds of wildebeest and zebra below but allows witnessing one of the most incredible sunrises of your life. With soft golden morning light striking the vast plains of Serengeti is a sight you would not want to miss! Apart from the mesmerizing sunrise, you can see the some of the best African landscape including the vast grasslands, wild rivers and dense woodlands. What better way can there be to end your Serengeti Balloon Safari Excursion, than having a Champagne Breakfast. As a tradition after every balloon safari, the pilot of the flight uncorks Champagne bottles and celebrates with the guest. Some pilots even use swords to uncork Champagne bottles. You can enjoy a quiet romantic breakfast with your partner in the bush surrounded by wilderness or enjoy your breakfast with other fellow travelers. 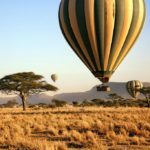 If the above-listed points inspire you to take a Serengeti Balloon Safaris on your next trip or if you want to discover African Safaris on a tailor-made tour then you can visit us at youth-adventures.com for more detailed information. We are looking forward to your queries.